A Reddit user named procrastibader has a very interesting story to share about how he paid for his Tesla Model 3, which he is configuring today. Here is what he wrote on Reddit yesterday. I was psyched on Friday to get a configuration email for my Model 3. But now I am even more pumped and wanted to share why. When I placed my Model 3 reservation on March 31 of 2016, I took 35k in cash and put it in Tesla stock, buying 150 shares at $233 each. I decided that I would use any profits to determine what upgrades I would get, and if the investment ultimately lost money then I wouldn't get a Model 3. I have jumped in and out of the position numerous times over the last 2 years. But this past Friday after market close, I received a configuration invite so I decided it was time to see how well the position has performed. I added up my total earnings on that initial 35k investment and it comes out to just over $23,000, exactly enough to get the fully loaded LR and take care of all taxes! I just wanted to share because in my eyes I am basically scoring a fully loaded Tesla Model 3 for the base price. Thanks Tesla. I can't wait to get behind the wheel! Here is the proof (image source Imgur). Editor's Note: Here his story ends. But interestingly there are similar stories that people write about in the comments section. For example, another commenter writes that he paid for his Model 3 in a similar way. "I did this too. I hadn't bought any stocks myself before three weeks prior to placing my Model 3 reservation. I bought my TSLA shares in around where you did and started with around $35k. Then, I added more as time went. I made more than enough to cover the cost of the base model over again. I picked up my Model 3 last Friday and paid in full. Thanks TSLA and thanks Elon," writes Marvel227 in in the same discussion. 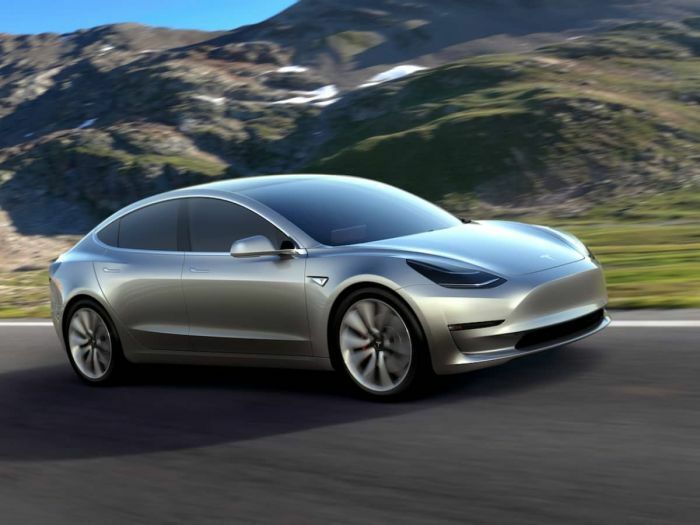 Tesla is moving forward with the Model 3's production and improving its numbers. Last week Tesla took two important steps forward that are already showing some results. Tesla is producing about 2,000 Model 3 vehicles per week. Now they want to double that and get to 10,000 Model 3s per week. How have you paid for your car? If you have an interesting story, please share int he comments section below for discussion. This is a cool story made possible by the multiple stock timing trades the new owner made. In March of 2016 Tesla stock was at $233 and today it closed at $289. So the gain on an investment in this stock over this period was 19.4%. Am I right? Or am I missing a stock split or some other factor? In March of 2016 the Dow Jones Ind Average closed at 17,716. Today it closed at 23,979. Thus, an investment over that period in a mutual fund that held the Dow Industrial 30 stocks would have gained 26.1%. The "stock market" has outperformed Tesla's individual stock gains over this same period. No?